There are many good job positions as an electrician in Norway for those professional who have the right qualifications and experience. Norway is a country of undergoing rapid development but is a relatively small country in terms of population. Therefore, the demand for labor exceeds supply at present time. It provides the Swedish electricians good chances to find a good and well-paid job as an electrician in Norway. Many electrician positions in Norway can be found in construction industry. When you work with installations on buildings mainly and as rule around the larger cities in Norway. The demand for electricians is highest in Oslo, Bergen and Stavanger. Some Swedish electricians working in Norway moving there with their families. If you do not want to move to work as an electrician in Norway can live in Sweden and commute to work. For the convenience of commuters, many employers offer special pay system. Then maybe you work every other week and are home every other week. Or you work from Monday morning to Thursday evening. In some places electrician working in Norway for 12 days and is then released in 16 days. Another sector for employment developing the oil & gas industry or "offshore industry" as it is known. This job expects working as a ship electrician, working on the oil platform or in shipbuilding. Working as an electrician in the Norwegian shipbuilding industry is quite similar to working in the construction industry. The work as a ship electrician often means a rotation system for 28 days. It means that you are on board and working on the ship for 28 days straight and then is idle equal amount of days. 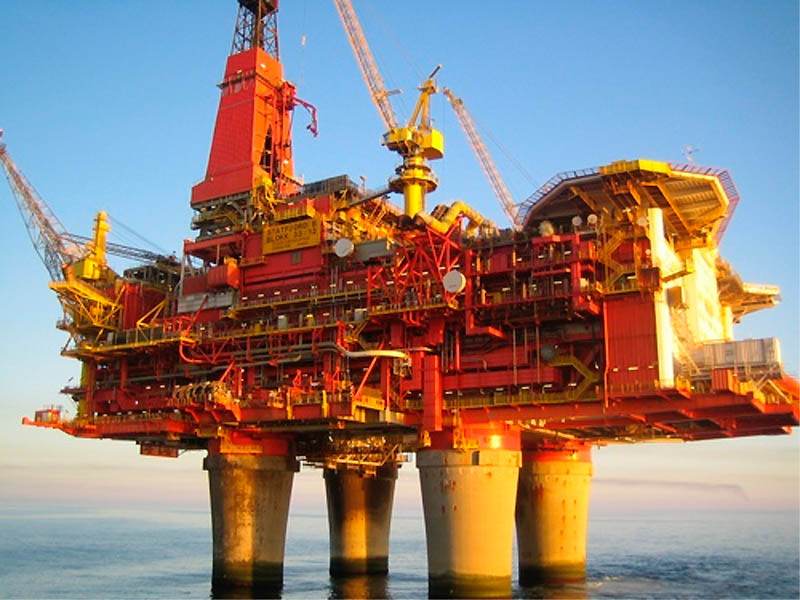 The most attractive among all jobs for electricians in Norway are on oil platforms. They have by far the best paid and a very favourable rotation system where you work two weeks and is free four weeks. Of course, these jobs also the hardest to get. They often require long experience and good contacts. A platform is not like any other job. Those who work out in the ocean are transported to and from work by helicopter. Security is very important. All employees must undergo safety training before they go out, and they must have a medical certificate proving that they are in good enough shape to perform tasks. The activity on the platforms in progress night and day. they Employees usually works 12-hour shifts, and on the job two weeks. Furthermore, they generally free three or four weeks. In time it is on most platforms possibility to train in the gym, watch movies in the theater, surfing the Internet, spend time with colleagues or simply relax of the cabin. The kitchen is also open all day, and skilled chefs ensure good dinner whenever fit. A drilling rig is used to drill wells to explore oil and gas or to drill production wells. Most drilling platforms or drilling ships are removable. They moved around from area to area to drill new wells. The drilling occurs when a drill bit is mounted on a long tube which drills into the seabed. As the drill bit eat its way down, the tube becoming extended with new pipe lengths that are hoisted up in a tower. On production platforms, the oil and gas pumped from depths up to surface. Here, gas and water are separated from the oil, while sand and stone particles removed. Then the crude cooled oil before being stored or transported away by pipeline or by tanker. The gas is transported to shore by pipeline. These are boats equipped like production platforms with process units. The advantage of these is that they can pump oil from underwater performing missions anywhere since they are easy to move. The most popular job on oil tanker is Pumpman. Working offshore operations are becoming more and more advanced. Therefore it is important for oil and gas companies employees are trained to do their job best. In the next pages you can read more about the education that is appropriate if you want to work on a platform. Ak Manning faces several exciting projects ahead over. Seeking therefore more skilled employees with experience in offshore / onshore. We seek people who are independent and systematic, cooperative and result oriented. Our ambition is to top the standard in their own business when it comes to health, safety and the environment in combination with efficient operations, quality and expertise. - Necessary certificates for working offshore / onshore. Rotation: The assignments are based performed with rotations of personnel, regular is 14/21 and 14/28 offshore. Onshore is also 11/10 and 15/20 used.